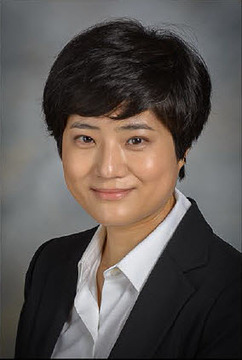 Dr.Kyungmin Shin hold a position of Assistant Professor in the Department of Diagnostic Radiology at the University of Texas MD Anderson Cancer Center, section of Breast Imaging. After obtaining her Diagnostic Radiology training at University of Virginia Health System and Breast Imaging fellowship training at Emory University, she began her academic career at Baylor College of Medicine, Houston Texas, in 2013. In 2014, she joined University of Texas MD Anderson Cancer Center and currently practices multimodality breast imaging. She has a keen interest in clinical research, especially in tomosynthesis and breast MRI, and is actively participating in several clinical research projects. 1. Multimodality breast imaging with special interest in tomosynthesis and MRI. 2. Imaging assistance for minimally invasive treatment for breast cancer (targeted axillary dissection). 3. Imaging with clinical correlation for male breast cancer. • Kottilil S, Shin K, Planta M, Mclaughlin M, Hallahan CW, Ghany M, Chun TW, Sneller MC, and Fauci AS. Expression of chemokine and inhibitory receptors on NK cells: effect of immune activation and HIV viremia. J. Infect Dis 189:1193-1198, 2004. • Kottilil S, Shin K, Jackson JO, Reitano KN, O'Shea MA, Yang J, Hallahan CW, Lempicki R, Arthos J, Fauci AS. Innate immune dysfunction in HIV infection: effect of HIV envelope-NK cell interactions. J Immunol 176(2):1107-14, 1/2006. • Commentary on Identification of Intrinsic Imaging Phenotypes for Breast Cancer Tumors: Preliminary Associations with Gene Expressions Profiles, Radiology 2014 Aug; 272(2):374-384. • Pinell-White XA, Etra J, Newell M, Tuscano D, Shin K, Losken A. Radiographic Implications of Fat Grafting to the Reconstructed Breast. Breast J. 2015. Sep-Oct;21(5): 520-525.